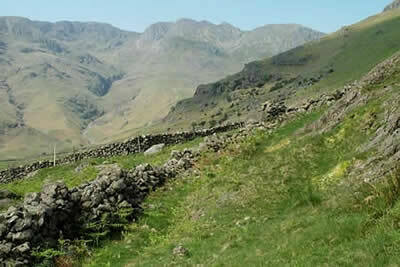 Bowfell and Esk Pike are both included in this Lake District walk from Old Dungeon Ghyll in Great Langdale. The combination of two great Lakeland fells make this an exceptional walk. The walking is excellent and the views are good throughout. This guidebook describes 30 of the best low-level walks in the Lake District. From delightful wooded glades and sparkling tarns, to waterfalls and glacier-carved valleys towered over by craggy mountains. The walks described aim to seek out the best walking that the lower areas of the Lake District have to offer.